Over 90% of the 150 million users on Instagram are under age 35. 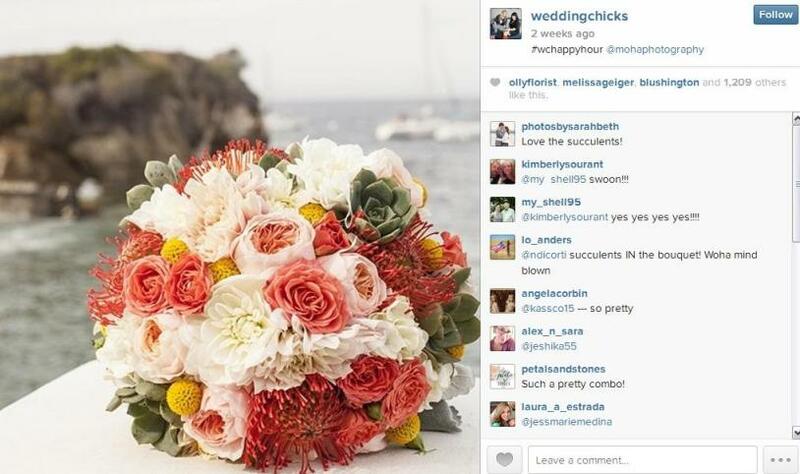 Yep, Millennials brides and grooms are using Instagram. Engagement on Instagram is 15 times that of Facebook’s, with users spending an average of 257 minutes per month. Ah, you’re not so keen to dismiss Instagram now, are you? 1) Choose a super smart, keyword rich Instagram name. Ideally, your name should be identical across all your social media profiles to make it easy to find you. Include local keyword phrases in your name for extra bonus points. Use a photo of yourself, not your business logo, to keep it personal and friendly. 2) Write an awesome bio. You only get 150 characters to work with, so make ‘em count. What you write here, combined with your photos, determines whether you get followed or not. Describe exactly what your business does and be sure to include a link to your website. If your business has a physical location, make sure you include it! BONUS TIP: Add your email, phone and social media handles so that couples have multiple ways to contact you. 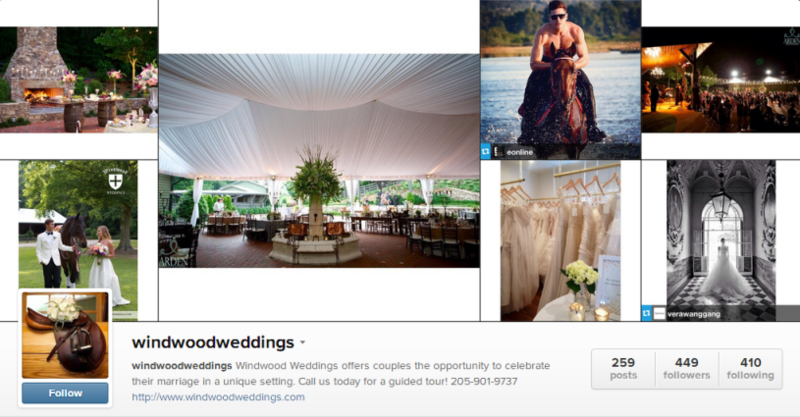 Windwood Equestrian does a great job including a call to action and phone number in their Instagram bio. 3) Share photos that show off your expertise and attract your ideal couples. Include photos of your products and services in all their glory. This establishes your credibly and encourages commenting and sharing by wedding inspiration hungry brides. Don’t forget to include non-business photos that your couples will find interesting. 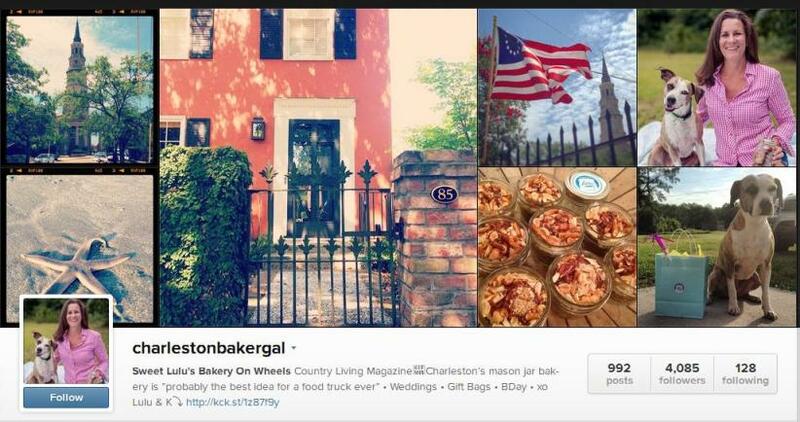 Karen Moran of Sweet Lulu’s Bakery makes sure 75% of the photos in her Instagram account are focused on her local Charleston area, while only 25% feature her products. This earns her local followers and keeps her profile from turning people off because it’s overly salesy. BONUS TIP: Watermark your images with your business name or website so that couples who adore your work can easily contact you. 4) Use your keyword hashtags. Lots of ‘em! Instagram allows up to 30 hashtags per photo, so take advantage of them. 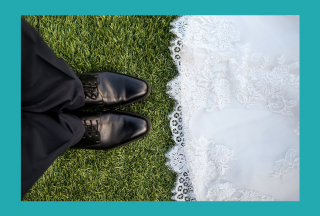 Each hashtag represents an opportunity to connect with brides or grooms who are searching for those terms. Include as many relevant hashtags as possible with every photo. Create a custom hashtag for your own business to curate the images shared by you and your clients. Search Instagram for keywords related to your business to get ideas about the hashtags you should be using to attract your couples. Events By L uses hashtags containing local and wedding related keywords like #chicago #chicagoweddings and #instawedding to attract targeted followers and leads. 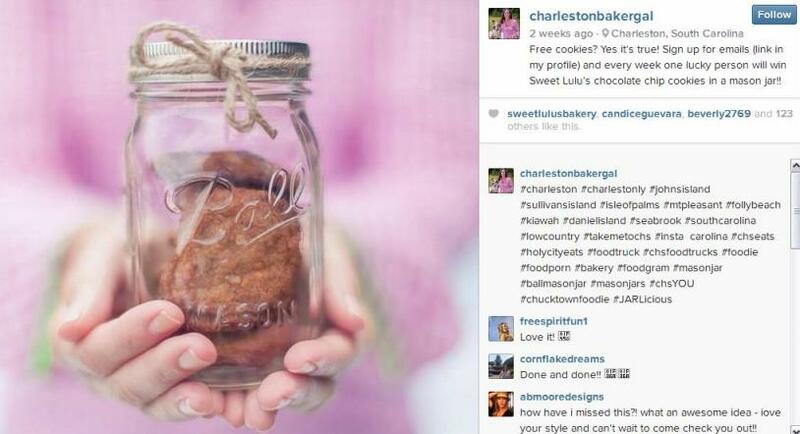 Karen Moran of Sweet Lulu’s Bakery won the Most Spirited Award for being the “Top Dog” in social media during Charleston’s celebration of Social Media day through her use of the hashtag #chsyou. 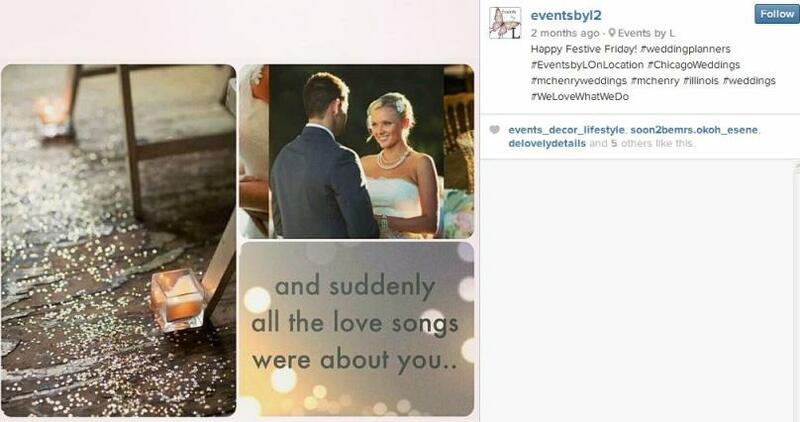 This single hashtag resulted in 200 new Instagram followers and two booked weddings that yielded $2,000 in sales. She gets over 100 visits per day to her IndieGoGo campaign raising money for her new mobile bakery, all through social media. BONUS TIP: Add the hashtag as a second comment to extend the life of your post. 5) Promote other wedding pros and local businesses to get more followers. Extend your networking to Instagram. The best way to get others to promote you is to promote them first. 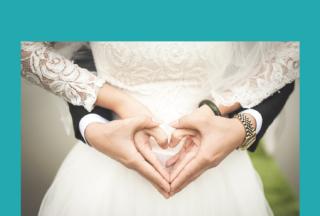 Use the @ tag to give a shout out to outstanding wedding businesses and your couples. Include a business’ unique hashtag to promote their business and build your referral relationship over time. BONUS TIP: Post a screenshot of another business’ profile to encourage your followers to follow them. The Wedding Chicks use #WCHappyHour and #WeddingChicks to connect with their followers across multiple social media accounts. 6) Be social and encourage engagement. Take the time to reply to the comments on your photos. You need to build relationships to get attention and earn leads with Instagram. Follow back your followers, especially other wedding businesses and couples. Encourage your couples to post their own photos using your hashtag. Like and comment on your followers’ photos. BONUS TIP: Use Geo Tags when posting from your store location or a wedding venue and encourage your couples to do the same. This is another way to curate your photos and increase your brand visibility. 7) Optimize your image captions. In addition to a great photo, your caption has everything to do with how much attention and engagement you get on Instagram. Use relevant local and keyword hashtags. Use humor and show your personality. BONUS TIP: Add a call to action telling your followers exactly what to do. Instagram is a free way to promote your wedding business that’s highly recommended if you love photos, have a local business and enjoy connecting with others through social media. What do you think about Instagram? Be sure to let us know if you #instalove it! I know that services like zen-promo do that instead of you and do it in professional way. What do you think about it?